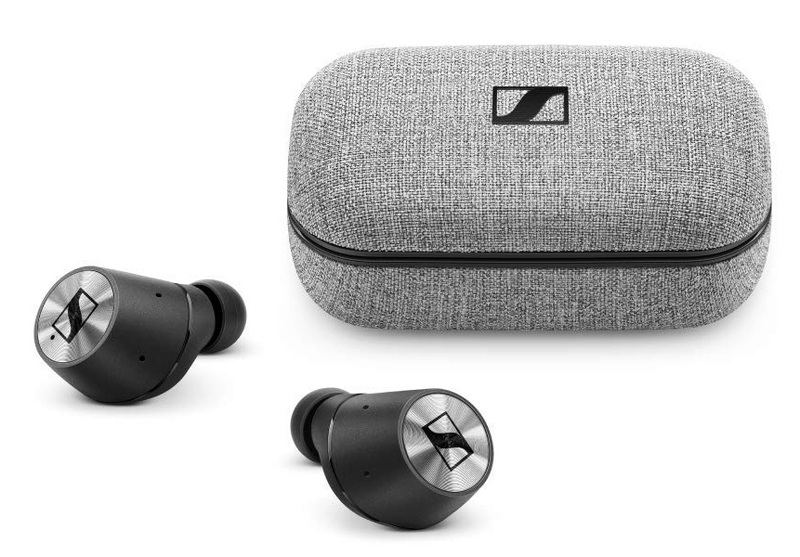 More than just another wireless earbud, Here One is the first all-in-one, wireless listening system. 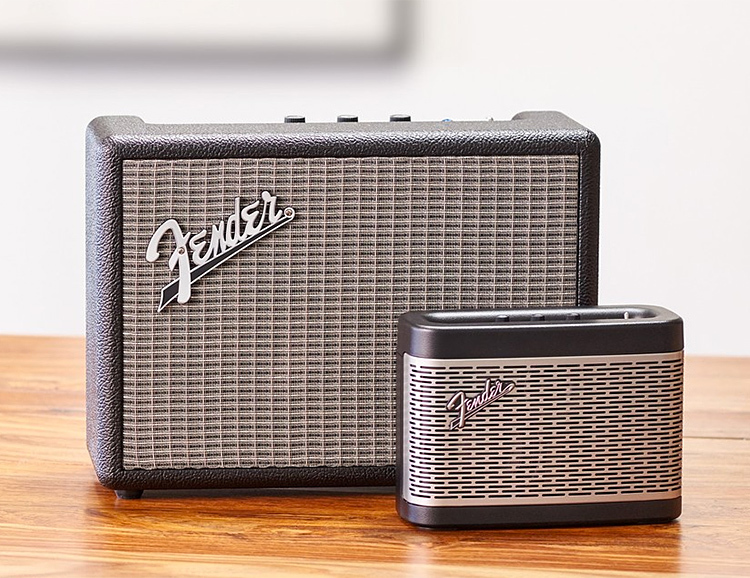 With two smart buds and a connected app, it enables you to stream music, take calls, reduce ambient noise, amplify speech, access Siri and Google Now, and more. What we like about these wireless headphones from Sol Republic comes down to the design. 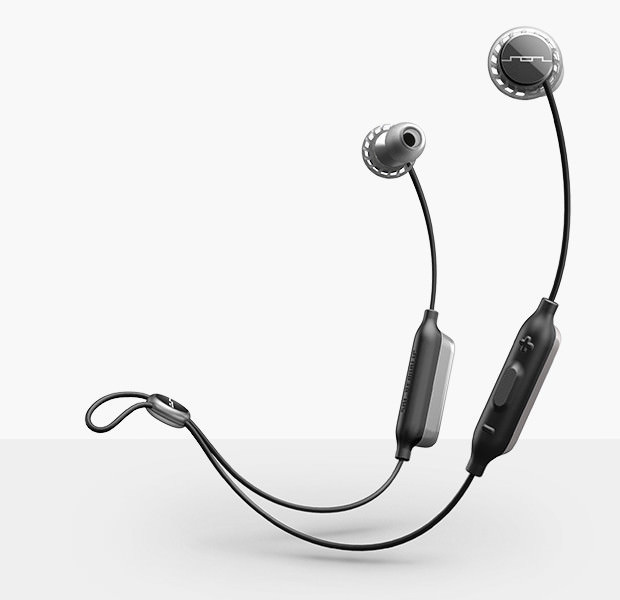 Rather than cramming all the technology and hardware into the earbud itself resulting in unwanted bulk or an oversized fit, the design of the Relay Sports Wireless places the batteries & electronics into 2 pods on the connecting wire you wear around your neck. This also makes it easier to pull one out for conversation without missing a step. The Charge Force power case doubles your phone’s battery life & allows you to power up your phone & case without the hassle of cables. 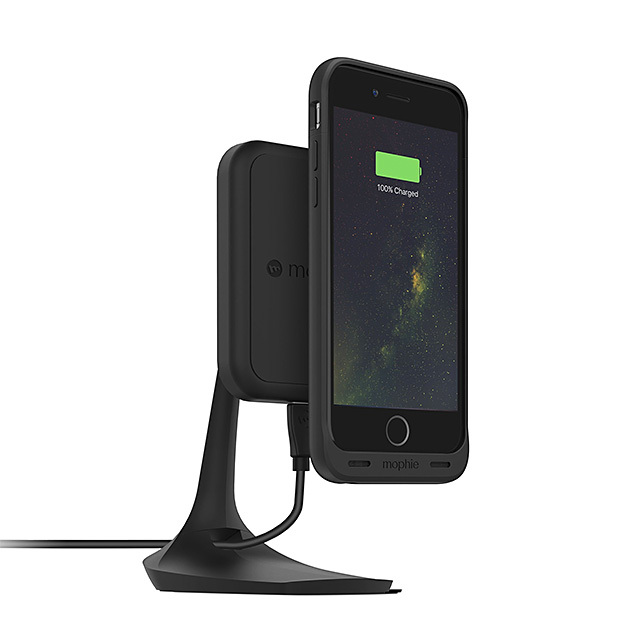 The wireless charging mount works in your home, at your desk or in your car; and the compact case is also compatible with other wireless charging systems, like Qi, so you can cop a charge using public wireless chargers, too. 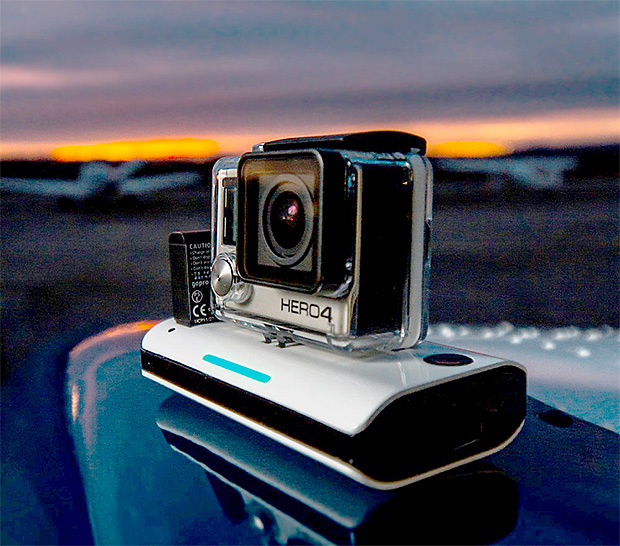 After a successful Kickstarter campaign, this wireless GoPro charger is now in production. It’s a wireless charger base & a wireless receiver with a 7500mAh lithium-ion battery that lets you charge your GoPro without taking it out of the water housing. It slides into the base for charging & has a 2nd slot to charge a spare battery. Charge time: 2.5 hours. 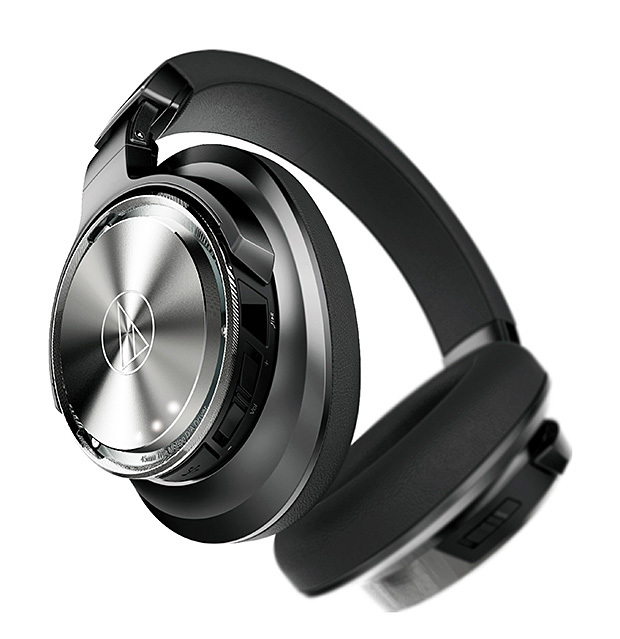 Beyerdynamic cut the cord to offer their top-of-the-line Xelento headphone in a bluetooth wireless model. 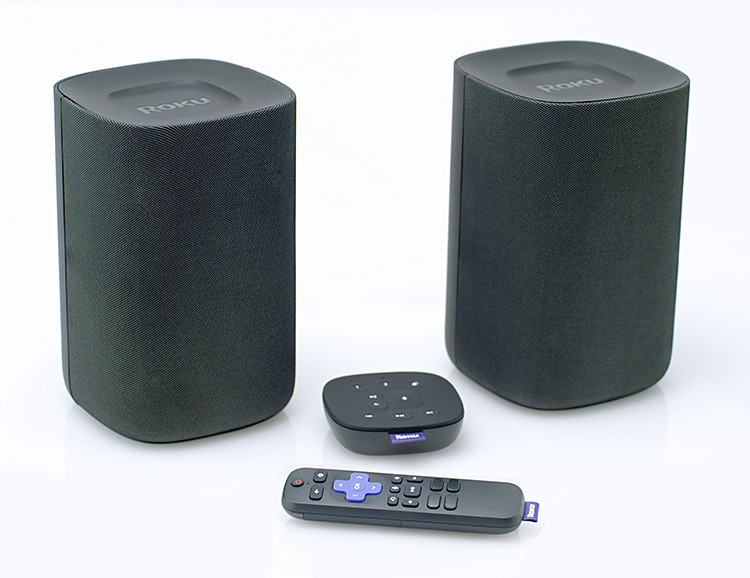 Like the original, the Xelento Wireless produces audiophile-quality sound using Tesla transducer technology. To keep these wireless earbuds small and light, Xelento put the battery in a small aluminum cylinder that clips to your clothing. The cylinder has a 3.5mm input port for recharging the 5-hour battery. Available July 2017. 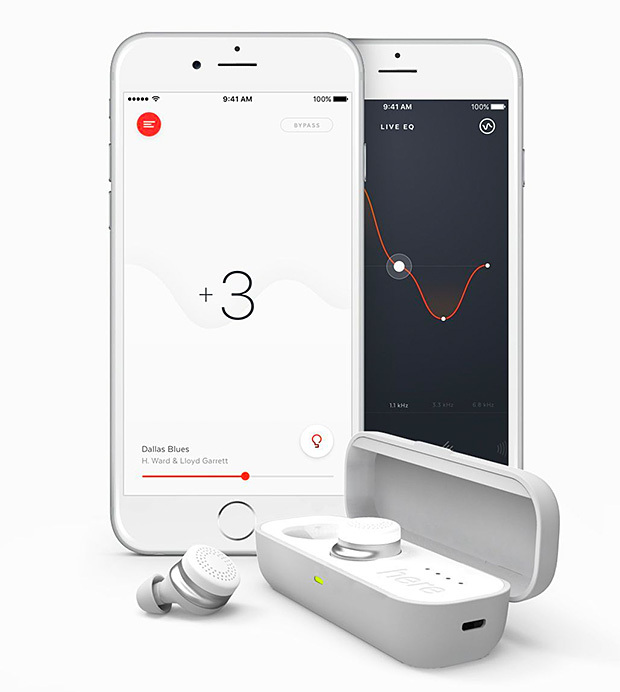 Apple dropped their 2nd generation AirPods & two weeks later, the brand’s offshoot, Beats one-ups them with a wireless earbud offering of their own. 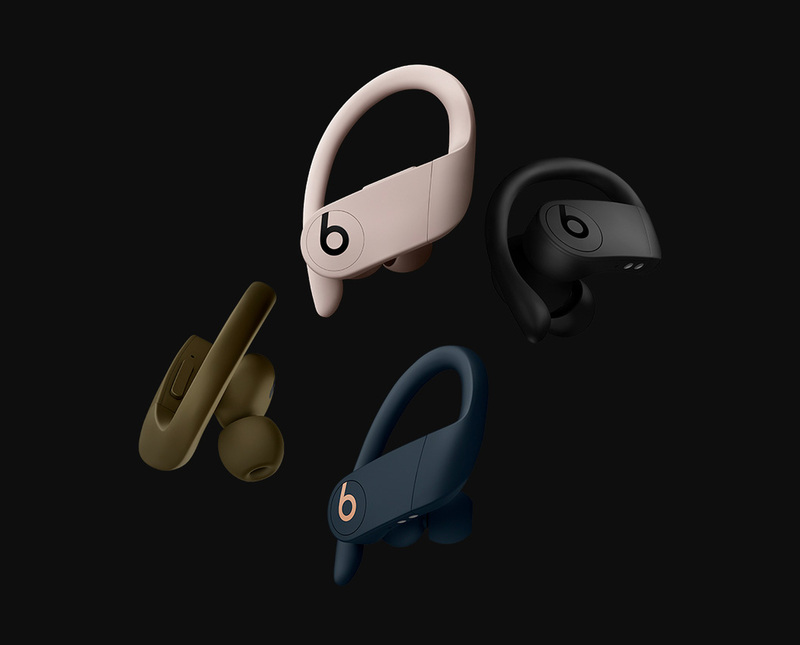 The new PowerBeats Pro buds feature Apple’s newest H1 chip plus boast a longer battery life & better fit than AirPods. Water-resistant too, so they’re better for workouts, with a neck lanyard to keep you from losing them. 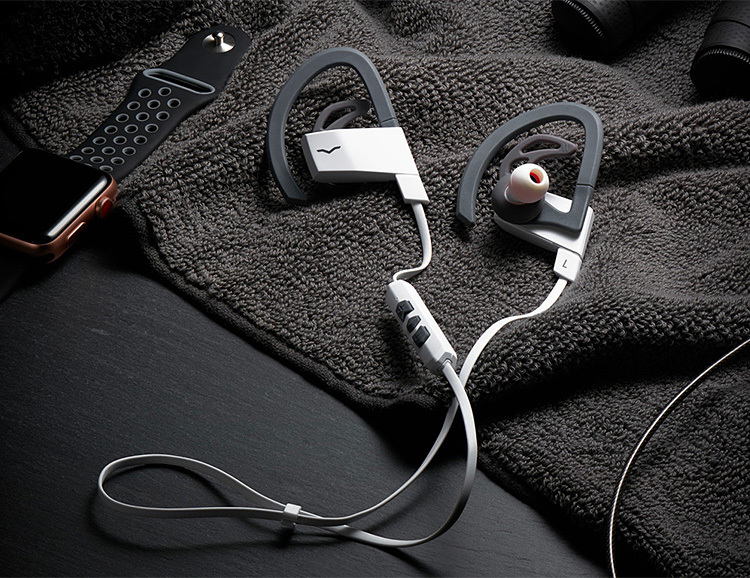 The Soundsport Free wireless headphones are the first truly wireless buds from Bose. 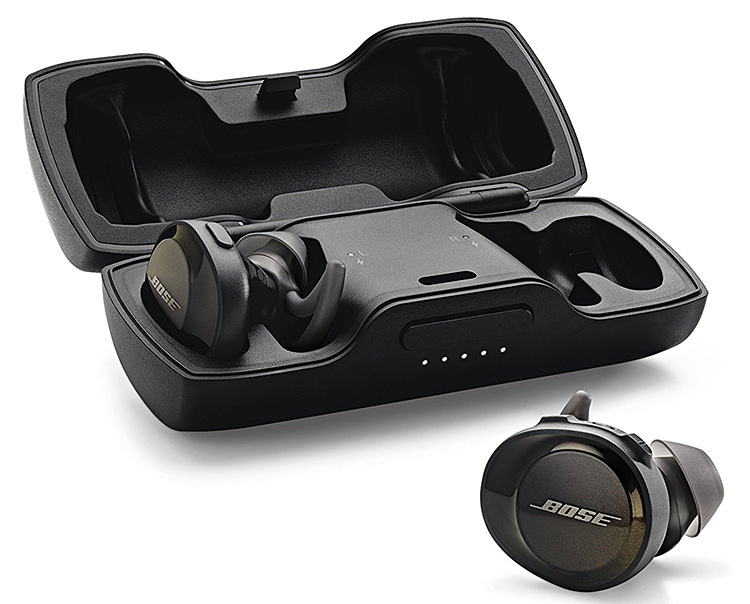 Engineered to deliver Bose quality sound in a simple, durable and workout-worthy package, they feature soft Stay Hear sport tips to keep them comfortable and in place no matter how rigorous your workout. The Bluetooth antenna was designed and positioned for max signal strength & flawless playback. A volume-optimized EQ ensures great sound at any volume. 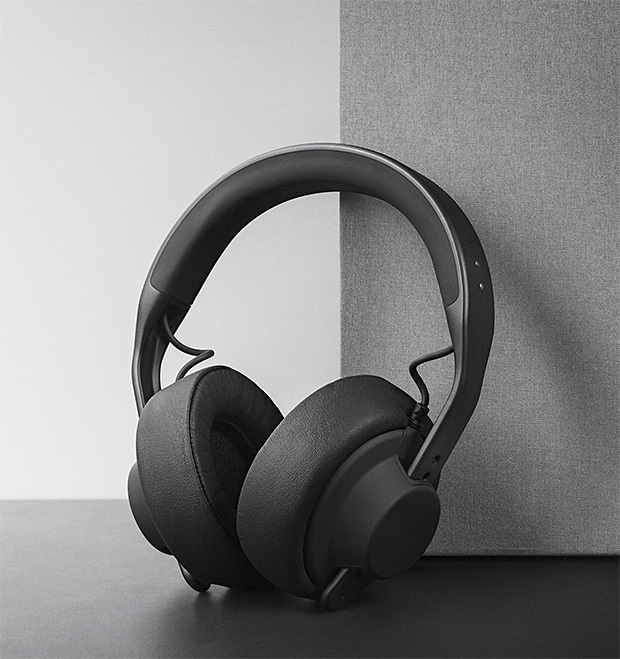 After blowing minds with the world’s most comprehensive modular, customizable headphone system, Danish audio design company AIAIAI has now made the TMA-2 system wireless. The key component in this upgrade is the HO5 wireless headband which works with any of AIAIAI’s many headphone configurations. 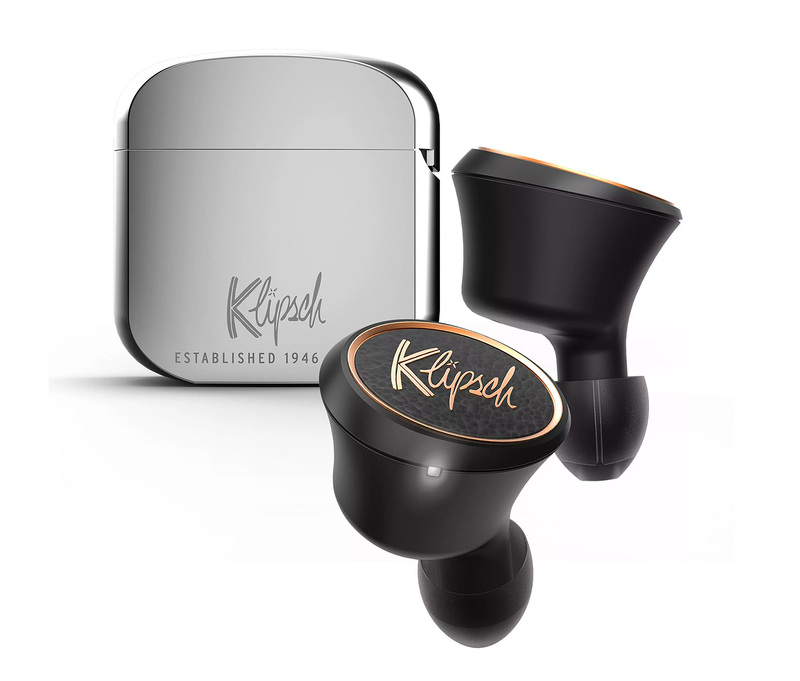 As Apple AirPods continue to dominate the wireless headphone market, legacy home audio brand Klipsch is jumping into the mix with its own new model: The True Wireless T5 earbuds. Until the doors open at CES next week, details are scant but we do know they’ll feature a fast-charge case and have a price tag somewhere around $200. Wireless buds just keep getting better. 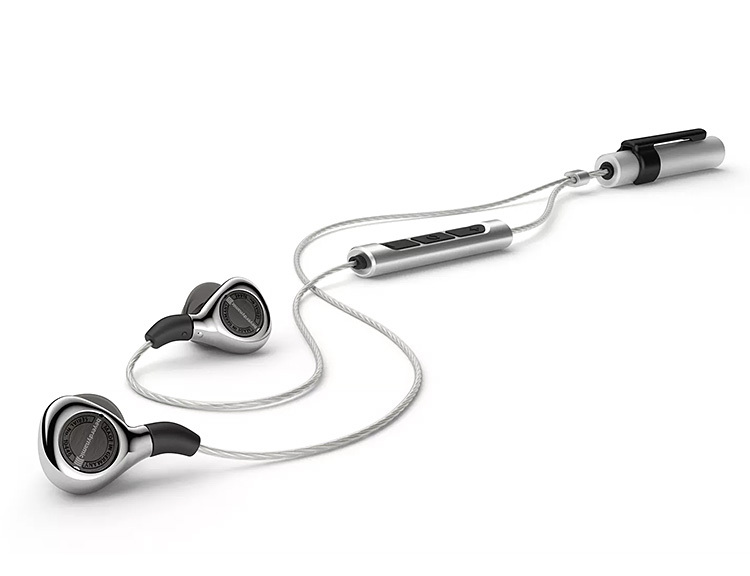 Created by the award-winning studio behind the EOZ One headphone, the new EOZ Air earbuds were designed to be the world’s most advanced wireless earphones. 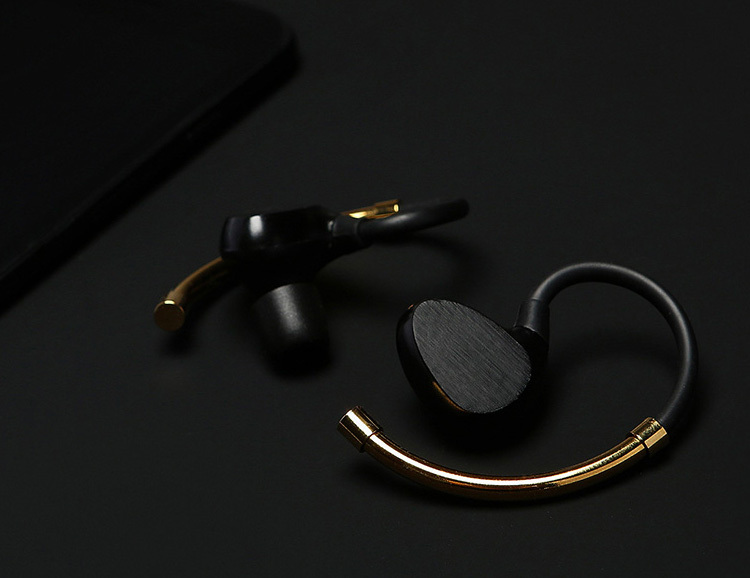 With their large 8mm dynamic drivers, they deliver high resolution audio, feature advanced Bluetooth 5.0, offer instant pairing, 52 hours of continuous playback and recharge via USB-C. A Funded Indiegogo. 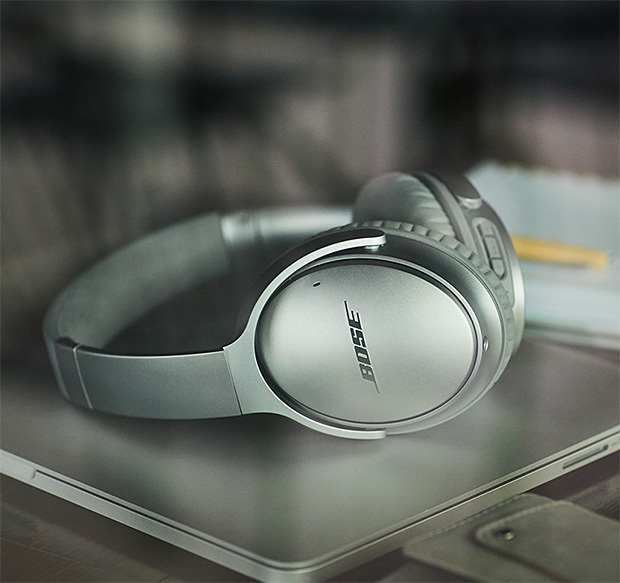 The best noise-cancelling headphone from Bose just went wireless. The QC35 premium wireless headphone features the brand’s industry-leading noise-rejecting technologies and connects wirelessly to your devices with Bluetooth & NFC pairing. Battery life lasts up to 20 hours. Courant’s products make wireless charging look good. 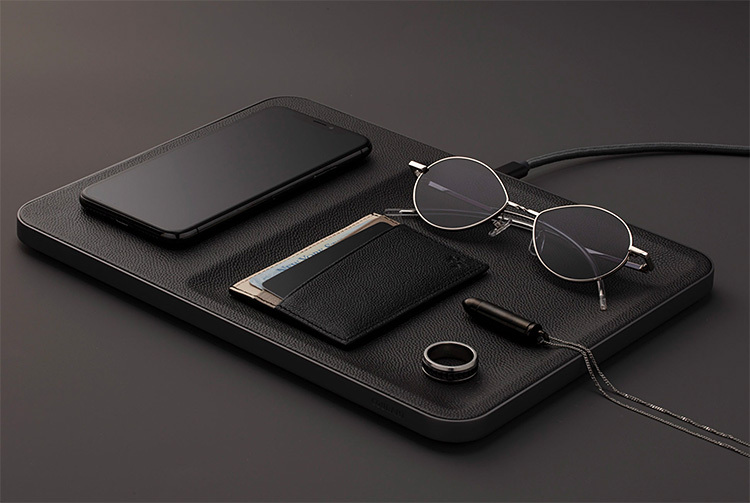 They offer 2 models of their sleek Qi-enabled chargers, both wrapped in premium pebble-grain Italian leather over an aluminum body. They’ve got durable, braided nylon power cables, a weighted no-slip design, and offer 3-coil Qi-certified Fast Wireless Charging. 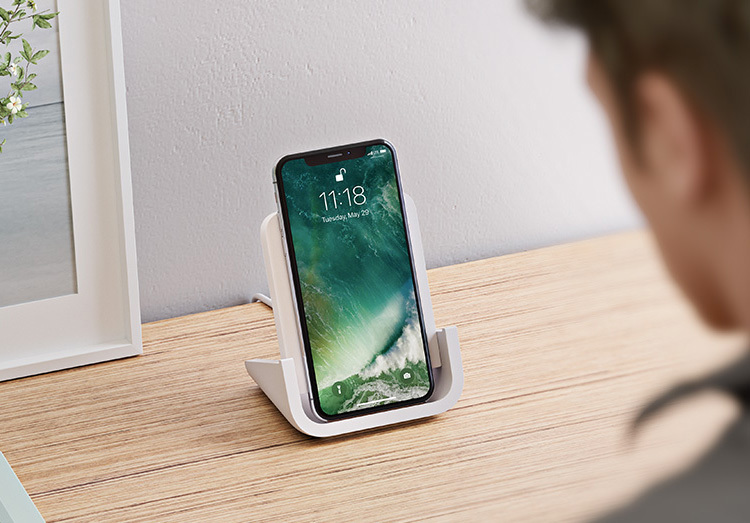 Designed specifically for iPhone X, 8 & 8 Plus, Logitech’s wireless charging stand keeps the phone standing up at the perfect viewing angle so you can actually use it while charging. Take & make calls and text, watch a movie, FaceTime, whatever. All without picking it up off the stand. It delivers 7.5W of wireless charging & allows you to view your device in landscape or portrait mode. 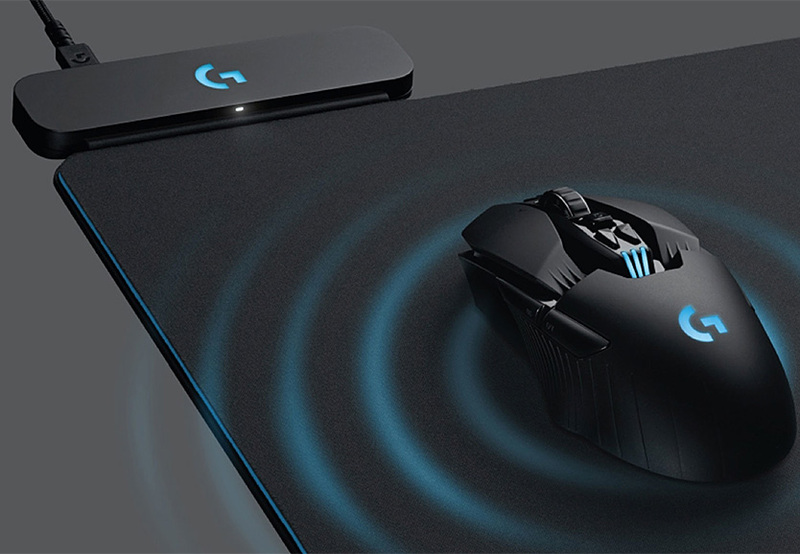 Logitech just unveiled 2 new mouse technologies geared at gamers. To eliminate the lag time & accuracy issues usually associated with wireless mice, their new G703 & the G903 models feature Lightspeed, which uses “end-to-end signal optimization” to cut the lag in signal speed down to 1 millisecond. And to keep your mouse charging at all times, they created Powerplay, a wireless charging system that uses magnetic resonance to keep your mouse constantly powered up. In the never-ending quest to keep your phone charged up, the WiBa charger offers something fresh. 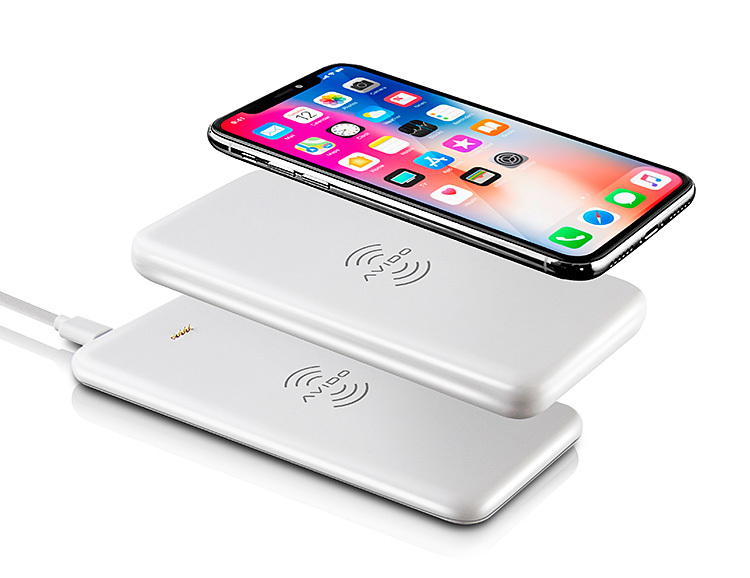 It’s a 5000mAh wireless backup battery and a wireless charging dock that will wirelessly charge itself and your phone simultaneously, plus charge all your other Qi compatible devices. Unlike most wireless headphones that use a sound-degrading D/A converter to receive a bluetooth audio signal, Audio-Technica’s ATH-DSR9BT uses a different process—a chipset that delivers cleaner, hi-res sound directly to its DLC carbon-coated drivers. This wireless, over-ear model features 24-bit HD codec support, premium materials & 15-hours of continuous play.